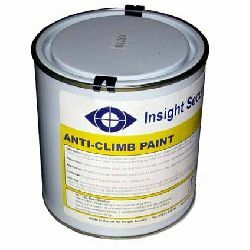 Anti climb paint is also widely known as anti vandal paint, anti intruder paint and security paint. As the various names indicate, it will deter and prevent unwanted intrusion and vandalism by making surfaces almost impossible to climb. Once applied, anti-climb paint does not dry. It`s a non-setting petroleum gel based paint that presents a slippery surface which is very difficult to climb. The security paint provided by Insight Security has been manufactured specifically for us. It is non-toxic, contains no hazardous ingredients and is amongst the best available today. Suitable for use in temperatures from -15 to +35 degrees celsius, is easy to apply to all surfaces, providing immediate protection. Typically used to prevent people from climbing walls, poles, fences and drainpipes and to protect flat rooftops. 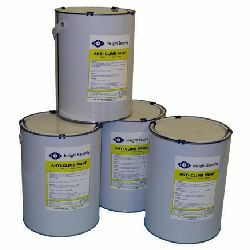 Widely used by Churches and other ecclesisatical buildings where there is a need to protect against theft of valuable roofing metals (lead and copper). A point to note is that since it does not set hard it can be transfered onto clothing, so appropriate consideration is recommended along with prominently displayed warning signs, if there is a chance that people might come into contact with it. 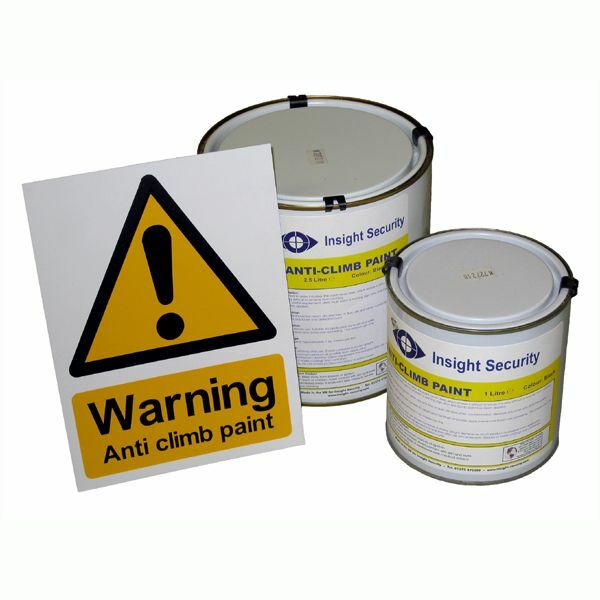 We recommend using anti-climb Paint warning signs with this product - also available on this website.